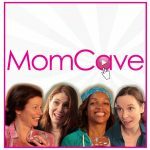 Disclosure: MOM DON’T READ THIS. Retail Me Not. In Canada! Who knew? Typically Canadians have to schlep to the USA, hit the outlet malls and do lots of nail biting at customs. And that’s before we remember the US to Canadian dollar conversion rate is now so horrible we should have remained at home. Shopping online. In our PJs. We deserve some amazing deals north of the 49th parallel, and Retail Me Not is solving the conundrum. 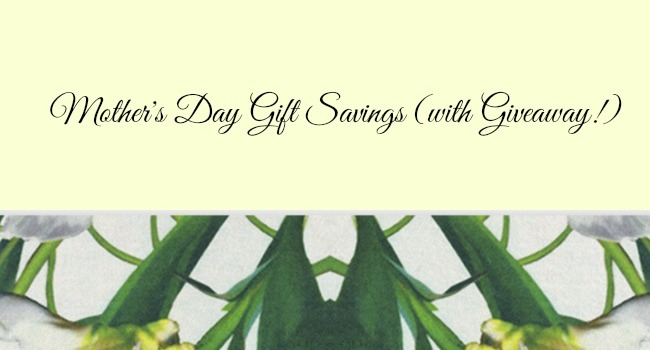 The Mother’s Day gift savings I found through the website have made both me and my mother smile!!! I left Mother’s Day shopping (panic) to the last minute this year, yet I wanted a beautiful gift that didn’t break the bank. Retail Me Not highlights savings and coupons at a variety of different stores. 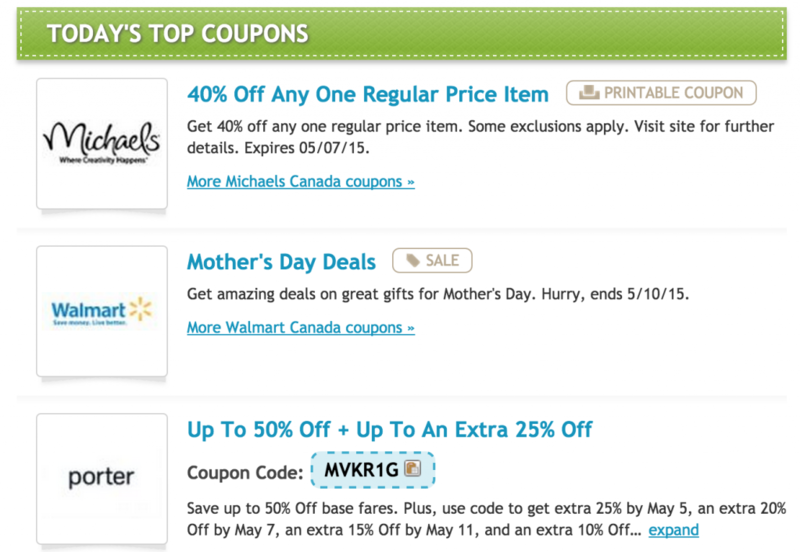 Some savings are in coupon code form, and others that are featured simply direct you to the retailer. Many discounts are exclusive to Retail Me Not. It was a perfect jumping-off-point for my gift shopping. 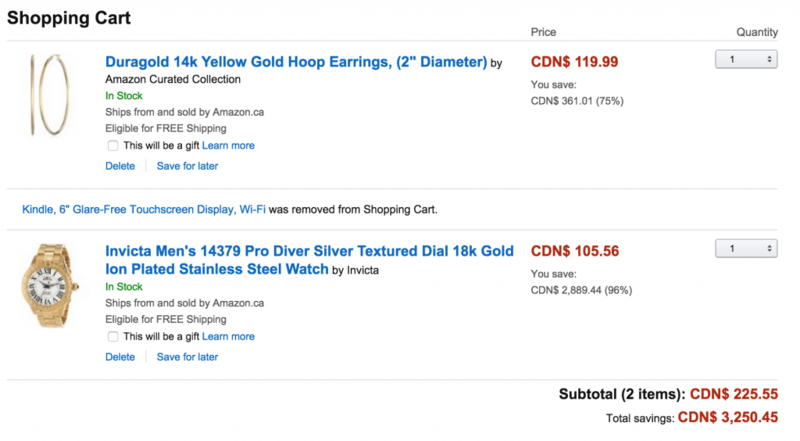 Seeing an ‘up to 70% off’ offer for Amazon.ca, I clicked. I wondered how much money I could actually save. I am typically a practical gift giver but this year I wanted to send my Mom something personal. The Dyson vacuum she wants isn’t going to cut it. Gold is always in vogue, and she is a hoop earring person, so the first part was simple. Getting distracted in the jewelry section I found another little treat for her. Gold as well, a man-sized big watch was perfect. She never fiddles with delicate jewelry and this was certainly a statement piece. Verdict: I spent $225.55 and SAVED $3,250.45. With no cross-border shopping. And my Mom is going to look like the goddess that she is. Signing up for a free trial of Amazon Prime gave me complimentary two-day shipping, and just like that, I was done. Well kindof. I hopped back over to Retail Me Not to see what other savings I could find! Disclosure: This post was gernerously sponsored by Retail Me Not and now I’m a life-long customer. All opinions are my own. Money seems to go fly away these days faster than the speed of light. Remember when the ‘dollar store’ actually sold things for a dollar? And you could legitimately include limes in a $29 grocery purchase? (Sorry Gwyneth). It’s tough to make a living, to raise a family and to teach your kids about money. But it is even harder to explain the mysterious disappearance of hard-earned money. Many Canadians have fallen victim to electronic pickpocketing, skimming or huge retail data breaches that have seen bank accounts dwindle and necessitated thousands of hours of time invested in cleaning up the mess left by criminals. I was always a traditional money girl, starting with a piggy bank and bank book followed by my first debit card. It’s PIN (cough) may still be the same. Afterwards came the ‘student’ credit card at university with the bonus of a bunch of free tupperware. Like all people, I have forgotten my wallet on top of phone booths (remember those?) and let my credit cards disappear into restaurant kitchens for a shade too long. As life got busier, I admit that I was not always the best (double cough) at checking statements or bank balances. Times may have changed with the inventions of the internet, chip and PIN technology and e-billing, but wouldn’t it be great if there were a superhero protecting us from fraud? There is. Now Interac has made our earnings even more safe. Bank-issued Interac debit cards with chip technology (the ones that give you access to your millions stashed in your bank accounts) are now more secure than ever thanks to comprehensive fraud prevention tactics and the new introduction of Interac Flash. Unfortunately, I’m not talking about the Avengers, though I do think Interac should be given a place in the superhero hall of fame. 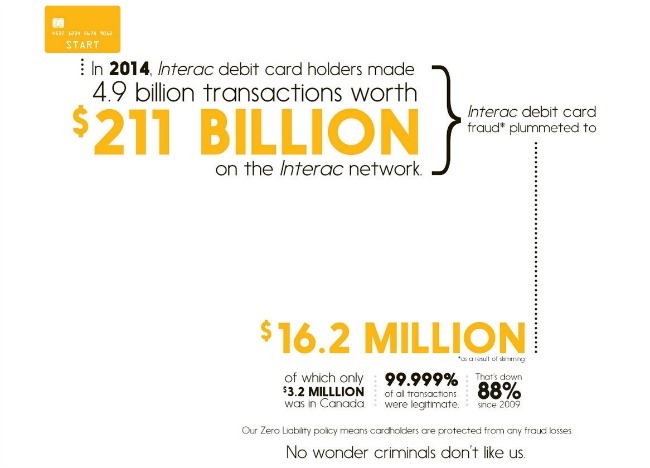 Interac debit card fraud losses, as a result of skimming, are at a record low – decreasing 45 per cent to $16.2 million in 2014 from a previous low of $29.5 million in 2013. All ABMs and Interac debit cards have been converted to chip technology – and by the end of 2015, all point-of-sale (POS) terminals will be converted. To date, virtually all cards and ABMs have been converted and 96 per cent of POS terminals. Not only that, but cardholders are protected from losses through Interac’s Zero Liability Policy. And what about pickpockets? I remember playing the ‘Artful Dodger’ in the musical Oliver once. I was much more skilled as a dancer than I was at being a pickpocket, but that was years ago – before the era of electronic pickpocketing. Two out five Canadians (40 per cent) are concerned about electronic pickpocketing. But… when Canadians use Interac Flash, they are safeguarded against counterfeiting and transaction replay types of fraud, including electronic pickpocketing. As a contactless enhancement of Interac Debit, Flash protects cardholders with layers of security, including chip technology and spending limits. No single transaction can be more than $100 and total spend without a PIN can not exceed $200. Once a limit is reached, a cardholder must insert their Interac debit card and enter their PIN for verification, i.e., conduct a regular Interac Debit transaction. The limits are then re-set. Now that we’re talking about nailing criminals and spy stuff, I should discuss retail data breaches. Interac has that covered too. With an Interac debit card, the number on the front is useless to criminals if they don’t have your PIN. Unlike credit cards and other debit card products, Interac rules do not allow the number on the front of the payment card to be used as an account number; it is only an identifier for Interac transactions. This means that any data captured or stolen through skimming or a breach is entirely useless to a criminal because it cannot be used to conduct transactions, online or in person. No personal financial information is ever shared or stored with retailers. Just don’t forget your pin. And make sure it isn’t the same as the one you were given at age 8. No more digging in your purse or diaper bag to scrounge for enough change for a coffee. 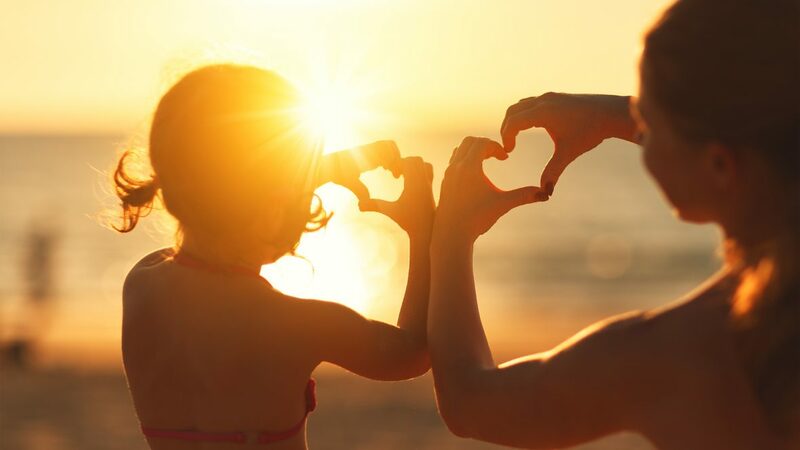 Scotiabank, RBC Royal Bank, and TD Canada Trust are the first financial institutions to offer the enhancement, along with Sunova, Conexus, Cambrian and Affinity Credit Unions. 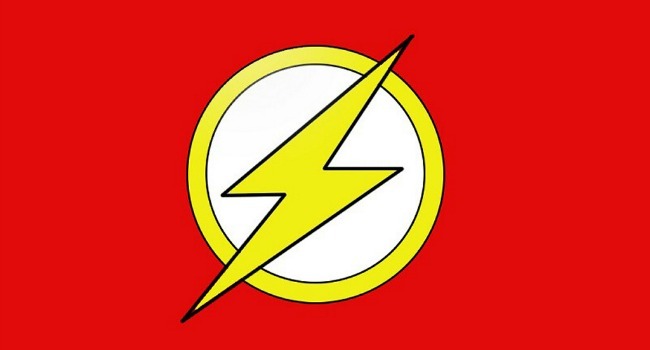 Other Canadian financial institutions are also working to provide their customers with Interac Flash soon. So maybe it’s time to worry a little less about fraud so you can focus on catching up with your other favourite superheroes. Disclosure: This post was proudly sponsored by Interac. As always, the opinions shared here are mine, all mine.